All classes must be canceled at least 12 hours in advance to receive a refund of the class session. You must cancel through your MindBody account. In order for this small business to be sustainable, and to be fair to people on waiting lists, we are unable to offer exceptions to this rule. A class session canceled with 12 hours or more of notice will receive that class credit back to use again. For instance, if you have a new 6-pack, and sign up for a class, you have five class sessions left. If you cancel three days ahead of class, you will get your session back, and have 6 classes to use at another time. If you cancel within 12 hours of the class start time, or do not show up, you will have forfeited a session, and you’ll have five sessions remaining. Those who cancel with less than 12 hours notice or do not show for a class they have booked will automatically incur a $15 drop-in rate to their card on file. Please be sure to only sign up for classes you will attend to avoid this fee. As a small business, we thank you for understanding. You must be on your bike by 5 minutes after class start or else your bike can go to another client. This will allow the class to run smoothly without interruption. In general, please plan on being on your bike and ready to go for class start time to be fair to all in the class. When classes are full, up to two clients can join the waiting list. If a space opens up two hours or more before class (eg if the class starts at noon, anytime before 10am day of class), you will automatically be added to the class roster and will receive an email notification (please make sure your email is up-to-date! ), and are subject to the cancellation policy above. Easy, straightforward, yay! From two hours before class and class start time, (eg if the class starts at noon, from 10 am to noon) the waitlist is no longer functional. If you are on the waitlist, you will NOT be automatically added to the class if a space opens up. We do not automatically add clients because they may be too far away to make the class in time and we don’t want to stress anyone out! 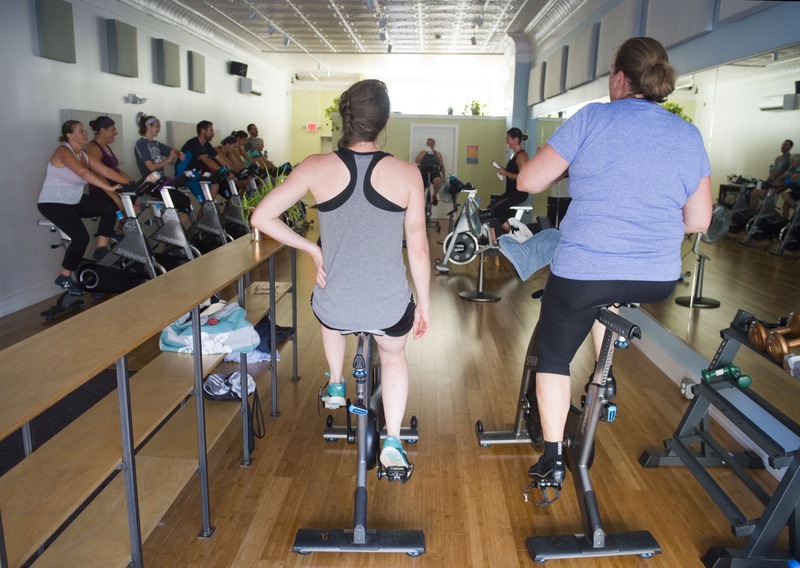 You can check Mindbody and if a space opens, you can add yourself to the roster. We also will do our best to check and get in touch to try to get anyone on the waitlist into class. It’s not perfect, we know, but we’re trying to be fair to those who are too far from the studio or made other plans because it seemed as though they would not get into the class. If you paid for a visit but don’t get into the class (meaning you don’t come off the waitlist), you will have that visit to use again for a future class.